The border between Scotland and England is a long contested stretch of scenery as dramatic to look at as its history. While some of the battles here have been bloody, and there's a historic reputation for lawlessness, the Scottish Kings were also battling for 'hearts and minds' and built some impressive monuments to their wealth and power in the region. Some of the best places to stay in the Scottish Borders are the old manor houses and strongholds built to fortify and rule the area. The Scottish Borders is about 1,800 square miles of land stretched below Edinburgh and The Lothians from the moors in the west to the Berwickshire coast in the east. Hikers will know the Scottish Borders region as the northern end of the Pennine Way, a long distance walking trail which follows part of Hadrian's Wall from Edale to Kirk Yetholm. The Way finishes just beyond one of the most beautiful waterfalls in the whole of the British Isles at High Force near Middleton-in-Teesdale. The scale of the landscape, and its remoteness, means that one of the best ways to experience the Scottish Borders is by car. Plan a road trip to the towns and villages which most interest you, or else fly by the seat of your pants and discover the quiet majesty of the landscape and the beauty of the towns dotted throughout it. These emerald mountains, jade valleys and purple-heather moorlands are also favoured by mountain bikers. History enthusiasts will enjoy the famous Borders abbey towns of Melrose, Kelso and Jedburgh, and those with a literary bent might be interested in taking a pilgrimage to Galashiels, near Abbotsford the home of Sir Walter Scott, or visit Wigtown for its annual book festival. Pay a visit to Eyemouth Harbour - a fully working functional harbour where visitors can grab a bite to eat and watch the boats and seals go by. Our selection of the best places to stay in the Borders offer everything from a great property for all the family to grand luxury hotels. 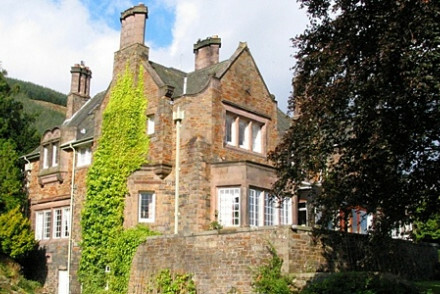 Trigony House Hotel is easily one of the best places to stay in the Borders. It offers a home from home atmosphere and welcomes children and dogs alike! The Windlestraw Lodge is an ideal escape if you crave peace and quiet in grand scenery. When you return from your rambles you'll be coming back to good food, roaring fires and every comfort. 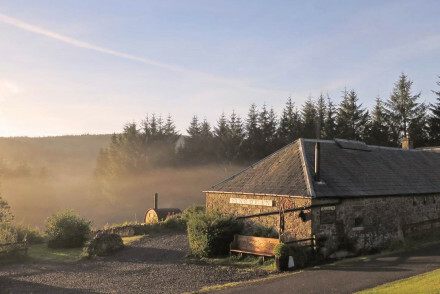 Perfect for visitors looking to do various outdoor activities Caddon View is a 19th century country guesthouse nestled in the village of Innerleithen. Eight individually designed rooms still retain many of their original features. Relax by the fireplace or enjoy the many outdoor pursuits. Only 30 miles from Edinburgh this is the ideal country bolt hole. Ideally located near two nearby nature reserves, Cavens House is an impressive country house set in a stunning location. Traditional rooms feature large sash windows and tastefully upholstered furniture. Good Scottish cuisine with award winning service. Plenty of country pursuits in the surrounding area. An ideal country escape with all the comforts of home. 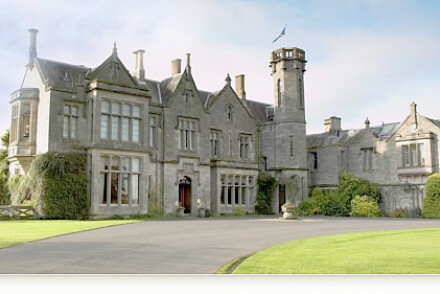 The Roxburghe Hotel is a grand old county house well used to playing host to hungry sportsmen and women and keen explorers and now accepting paying guests to do the same. 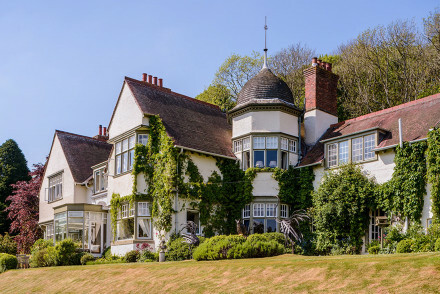 Every inch the elegant escape, Glenholme Country House is a striking country house set in beautifully manicured gardens. Four elegant rooms feature white-washed walls, high ceilings, four poster beds and sash windows. The cosy lounge is warmed by a roaring fire, home-cooked dinners are offered and there's plenty to explore in the surrounding area. Perfect for foodies, Knockinaam Lodge is steeped in history, this former hunting lodge has hosted Churchill and Eisenhower. Enjoy unspoilt views of the Scottish coastline from your cosy, warm palleted room, many of which have tiled fireplaces. There are 38 acres to explore and a Michelin star restaurant. Haute cuisine in the Borders! if you'd prefer your own space, don't hesitate to visit our online partner Booking.com for a fantastic range of properties scattered throughout the region. Fly to Edinburgh Airport located 61km (38 miles) from the Borders largest town, Galashiels. The airport provides a wide range of both domestic and International flights. Catch a train on the new Borders Railway which provides a fast link between Edinburgh and the Borders. Best time to visit - the summer months from June to early September provide typically the warmest weather ideal for exploring everything this wonderful region has to offer. Alternatively, widen the net and include all our recommendations in Edinburgh or Glasgow. 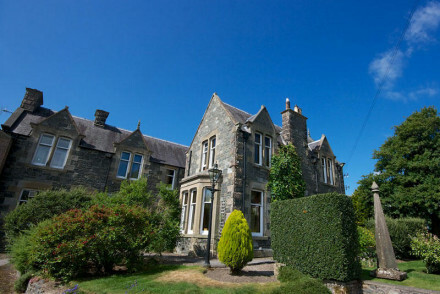 A 19th century country guesthouse nestled in the village of Innerleithen. Eight individually designed rooms still retain many of their original features. Relax by the fireplace or enjoy the many outdoor pursuits. Only 30 miles from Edinburgh this is the ideal country bolt hole. A quintessentially British pub with 20 well designed rooms and a fabulous restaurant and bar. Mixing traditional and contemporary design throughout the style is warm yet unfussy. perfectly located in the pretty market town of Melrose yet with the surrounding country pursuits within easy reach. Country Escape - Located in a charming market town and with easy access to the beautiful Borders countryside. Fishing - The River Tweed is well known for its abundant fishing. Birdwatching - Good birding near the hotel. A chic hotel in the centre of the historic town of Melrose. Smart rooms feature dark hues, enormous sink-into beds and contemporary bathrooms. The laid back brasserie or fantastic fine-dining restaurant offer the perfect respite after a day spent exploring the region. 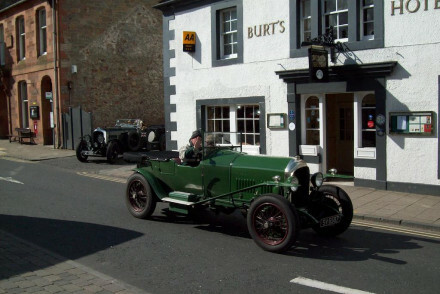 Local exploring - Situated in the pretty historic town of Melrose and with easy access to the Scottish Borders. Sights nearby - Visit the impressive Melrose Abbey. 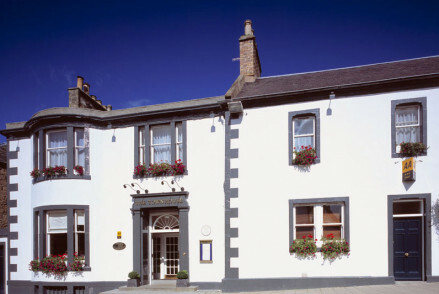 A charming 'restaurant with rooms' in a picturesque village in the Scottish Borders. Simply dressed rooms are traditional in style with each room sticking to a colour theme. The highly accoladed restaurant is the real crowning glory, fresh produce and skillful handling. The perfect country escape. Foodies - The award winning restaurant showcases Scotland's best produce and is the real drawing point. Intimate hideaway in the heart of the Scottish Borders. Peaceful ambiance, good food, roaring fires, and lovely views of the countryside. This rural 5* B&B is a bastion of Arts and Crafts architecture with sweeping views across the Eildon Hills, country-chic interiors and eclectic art to boot. Fauhope enjoys a serene setting offering, a drawing room with an open fire and first-class service from the live-in owners. A gloriously remote hideaway situated in a beautiful spot in the Scottish Borders. Offering just one Alpine style room along with private sauna and hot tub. Decor is utterly charming with plenty of wood, chintz fabrics and a sink-into bed. The perfect rural escape. Hideaway - A secluded property, with just one room, deep in the forests and hills of the Scottish Borders. Sights nearby - Visit the fascinating (if somewhat spooky) Hermitage Castle. 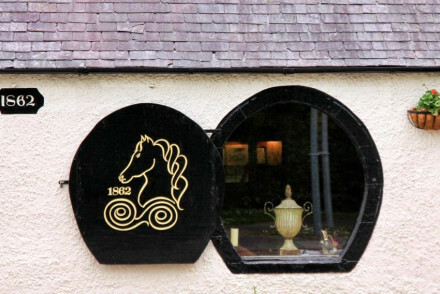 A comfortable country house hotel in beautiful countryside with great sporting opportunities and excellent food for hungry sportsmen and women.